Every practicing devotee, at one point in life, finds the need to know more about Mayapur, dive deeper into its timeless glories, and realize its transcendental position. 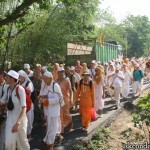 If not all, for many devotees, Mayapur has always been a mystery. They keep wondering if they have ever really been there. To our mundane eyes, it looks completely different from how it is described in the scriptures. How to reconcile? 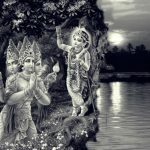 If you ever find yourself in such a situation, the “Knowing Sri Mayapur As It Is” series of articles is meant for you. It is a humble attempt to address this auspicious quest, which in itself is potent enough to lead one to the perfection of human life. 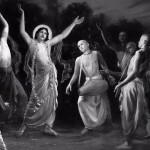 Although it is impossible to comprehend the glory of this supernatural abode of Lord Sri Chaitanya Mahaprabhu, yet by the blessings of guru and Gauranga, the previous acharyas, the Dham-vasis, and by the inconceivably purifying influence and the causeless mercy of the Dham, a sincere and fortunate seeker of the Absolute Truth can get a glimpse of it. 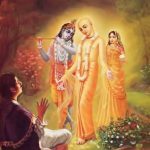 In “Knowing Sri Mayapur As It Is” you will find quotes and references from the amaranthine treasure of literature written and compiled by the previous achayas. 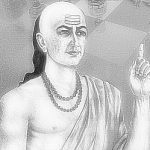 Sri Navadwip Dham Mahatmaya, Sri Navadwip Bhava Taranga, Sri Navadwip Sataka, Sri Chaitanya Charitamrita, Sri Chaitanya Bhagavat, and Chaitanya Mangal are the main ones. Sri Mayapur Dham ki Jay!